We learned a few things while in the NICU for 110 days. Babies benefit from Beanie Babies and babies love to be read to. We've incorporated these things that helped our son and us during our NICU stay into our diaper shirt project. We want to send each family a Beanie Baby and a book along with their shirt. 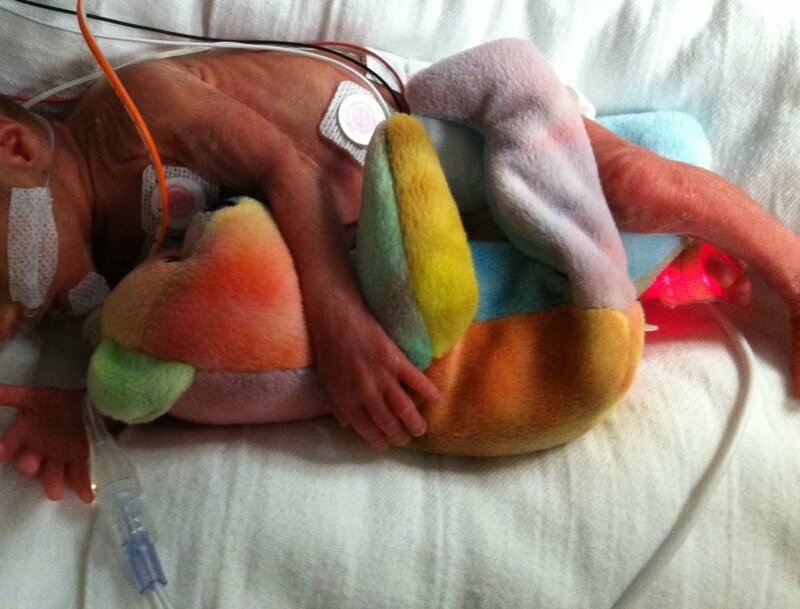 Our NICU used Beanie Babies to help position our son while he was in his incubator. His very own Beanie helped keep him on his side or from slipping down on his bead. We used it in multiple different positions to keep him in one spot while he grew big and strong. It became a keepsake to us as we used it as a size comparison. Every month we would take a picture of it next to him to see just how big he had become! We still use it to this day on his birthday...it's amazing to see where he started and how far he has come. You can purchase them almost anywhere or from our Amazon Wish List! A big thanks to Bookmans for their continued support!! As parents, we are told to read to our child starting day 1. That's true even when your baby is born before their intended day 1. "Studies have shown that premature babies get a boost from hearing their parents' voices. One study found that three hours a day helped literally develop the babies' brains, especially in the auditory cortex." Read the entire article here. If you'd like to participate in our Usborne Book Drive, simply click here. For every book purchased, we will get back 50% of your total purchase toward books from Usborne Books and More! To see the books we like to send see our Amazon Wish List!